Probiotic has become one of those “buzz words” you’re always hearing about. Many of you may already take a probiotic – understanding how it may help reduce occasional digestive issues. * But did you know that there’s a probiotic for kids? 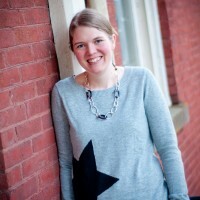 Let’s be honest – talking about “bathroom issues” might be uncomfortable for kids, but actually dealing with them – could be even more uncomfortable, and ultimately bad for their overall health. It’s important to find a product that is safe AND effective for our children. 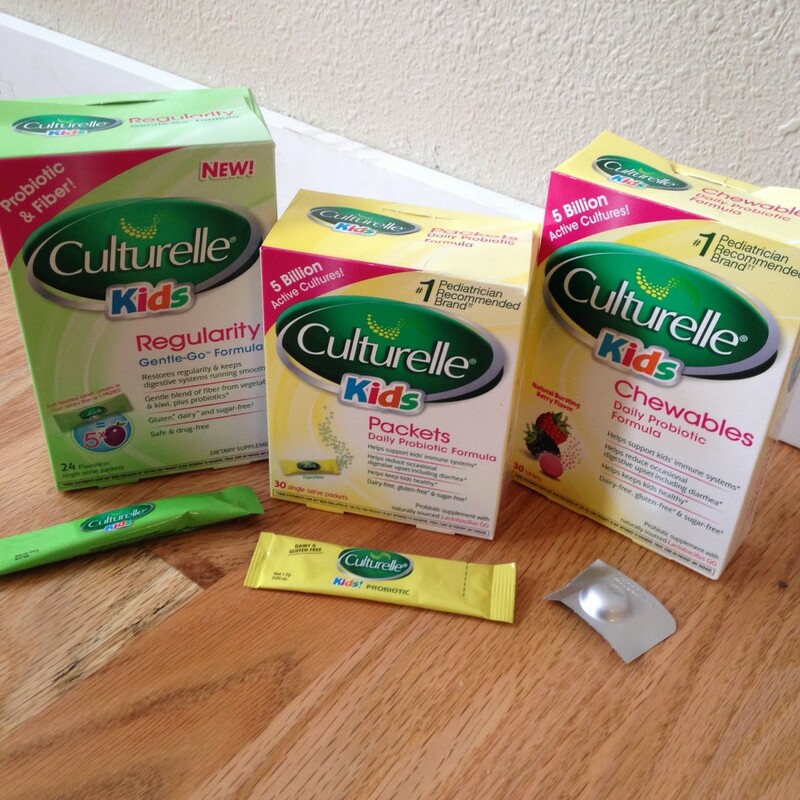 I am so excited to have learned about Culturelle Kids! With convenient chewables or packets to choose from, parents can help support their child’s digestive health without a fight. 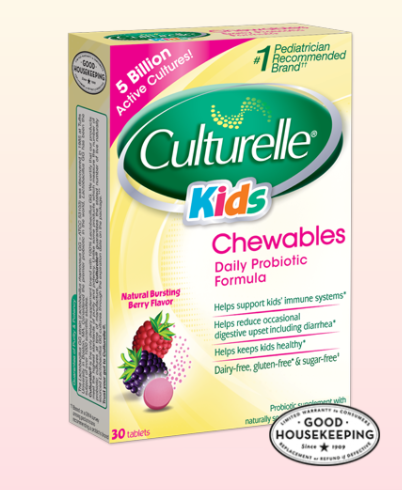 My kids preferred the Chewables for their Daily Probiotic Formula, taking it along with their daily vitamin. The Culturelle® Kids Regularity Gentle-Go™Formula is great to have on hand for when kids need a little help going. I feel better having it in our medicine cabinet – knowing I have something in my toolkit for when changes in their diet is not enough to move things along. 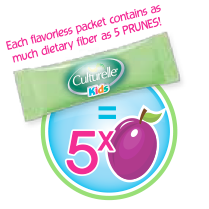 And did you know that each packet of Culturelle® Kids Regularity Gentle-Go™Formula contains as much dietary fiber as FIVE prunes?! The packets are flavorless, making it easy to mix them into any cold liquid or food such as juice, applesauce, or yogurt.